AU Should you trust real estate agents? DO you trust your real estate agent? Do you really? If you are not selling right now, have you trusted your agent in the past? Before I continue, I must establish I was an agent for 25 years - but now I am a free man and can truly comment without bias. I also fully acknowledge that like any profession there are good and bad. In the world of real estate there is certainly very good, but then there are also a number who arguably should consider leaving the profession, as people and property are just not their thing (or maybe it was their thing back in 1993). There are also a small number who flounder their way through a career path, by luck and the support of other more talented colleagues. Real estate agents are generally normal people. They too are homebuyers, sellers, and investors just like you. Most are hard working, forced to answer the phone 24 hours a day, any day of the year, spend half or more of their working week totally unpaid, offering free advice, showing homes to people who don't buy, appraising homes that don't get listed, spending days negotiating a deal only to have a party withdraw. They have so much legislation they have to adhere to, constant legal updates to be aware of and the chance of getting sued if they step out of line in so many facets of their working day. It is no easy career option. Big commissions do happen for some, but not most, and the volume and regularity of that income is unpredictable while the modern, hi-tech buying and selling public want their agents on line and on the phone now even if that is in the middle of an evening meal on the their day off. One very common hurdle agents have to jump is the trust barrier. Agents get the best results for their clients when there is mutual trust. I understand that you may be wary of agents, but how many times have you said you would call an agent back, or attend an auction, or inspection or want to reinspect only to never do that? Or not even bother to let the agent know of your changed position, not replied to their calls or emails, leaving them totally confused and with clients asking them what went wrong? You may have stated clearly you would happily sell for $500,000, you are offered that, then change your mind and change your agent thinking you can do better - only to resell with the other agents at $490,000 three months later. It can be easily argued that trust is an issue for agents … they sometimes have difficulty trusting you. It is vital to select and work with only agents you are comfortable with and feel you can trust, as you need sometimes to listen to their advice and act on it. Imagine, they could actually be right. The only reason you are not prepared to trust an agent is that you think they will trick you into taking a lower offer or they may let you down with levels of service. Concerns I fully understand, but did you know every agency has to have a written complainants procedure - a copy of which you can ask for? Once you have selected an agent on the basis of their track record, character, knowledge and how you feel you will work together, then please trust them. Now that doesn't mean sit back and do nothing, accepting everything you are told, you are supposed to be in a partnership. Ask questions, express your concerns and complain if you feel you need to. Good agents thrive on their positive reputation so selling your home for under market value or failing to provide the services you expected is not going to help their career enhancement. Please choose your agent carefully, then allow yourself to trust them. But this will only work if you constantly communicate and always express your concerns in advance. Stewing over issues that the agent has no idea about could result in miscommunications. Ask questions and if the answers are contrary to what you believe, ask for clarification. You are a team and a team without trust is not likely to head for success. A final tip, if an agent feels he can trust you too, that mutual trust will make this potentially stressful process a lot easier. Not everyone has the luxury of a large yard to barbecue in over the summer season, however those with a balcony can still enjoy a good cook up provided they take care around certain risks. Archers Body Corporate Management’s managing director, Colin Archer, warns that unit occupants should be careful when cooking on balconies to ensure gas cylinders are checked regularly. This should help avoid fire or injury. LPG and barbecue fires are largely caused by wear and tear on gas hoses and burners, or unsafe use of barbecues, said Archer. In confined spaces, the risks can often be maximised due to the consequences of fire and explosions in small areas. “Every year the Fire Service is called out to fires in unit complexes caused by barbeques that are faulty or have been used incorrectly,” he said. Bodies corporate should check communal barbecues, yet those on balconies are the responsibility of the tenant. They should still comply with by-laws. LPG cylinders should never be used in confined spaces, and the gas always needs to be turned off after use. Ensure smoke is not disturbing neighbours or damaging the walls or paint. Ensure smells are not excessive. Positioning the barbeque in an area where there is adequate air flow will help with this. Check to ensure the gas bottle and connections are safe, in good condition and checked by a professional regularly. Ensure noise from visitors is within an acceptable level and ceases at a reasonable hour. Ensure the balcony is not overcrowded and any rubbish from the BBQ and guests is not thrown over the balcony. Ensure the balcony and barbeque is cleaned after use and food scraps are disposed of, these can attract pests or rodents. The threat of burglary can often escalate at Christmas time, and in the days following up to New Years, when many are away holidaying or spending their nights at relatives homes, and property owners should be aware of the risks and potential mitigation, warns Angus Raine, executive chairman and CEO of Raine & Horne. While surveillance has helped in recent times, there are still a number of precautions that often get overlooked by tenants and home owners alike. Ensuring doors have high-quality locks, such as deadlocks, as well as ensuring windows have keyed locks or security grills, should be on your list, said Raine. “If your home has sliding doors or windows, a simple metal or wooden rod wedged in the cavity can prevent them being opened from the outside," he said. For those with the time, installing a security alarm and locking up the power box to prevent tampering with the system, including security lights and ensuring gates are locked and gaps in fences are repaired can help. Also presenting an image that the home is occupied over the period can be a simple yet helpful deterrent. “Leaving blinds or curtains in normal positions and installing a sensor light to flick on when someone approaches can ward off aspiring intruders,” he said. He also said that home owners should turn down the ring tone on their home phone so that when it rings out, it won’t be obvious to those around. Leaving a message on the answering machine or voicemail telling those who call you are away is also not a good idea. “You should also suspend newspaper or magazine subscriptions during your absence,” he said, for those gone for longer periods of time. Trustworthy neighbours can also be good allies – looking out for unusual behaviour and also putting your bins out or moving your mail as necessary. The following tips can be applied all year round, said Raine. Keep home and contents insurance up-to-date. With most mortgage holders on variable rate products in Australia, our housing markets are sensitive to interest rates, and all things being equal lower rates could result in dwelling prices being re-set higher (and vice-versa). However, other things are rarely equal. 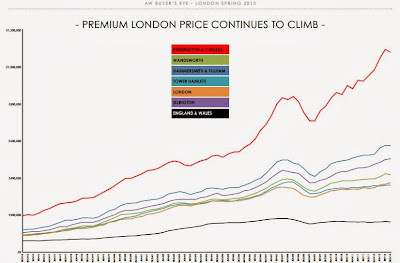 Over the past two decades I've watched Britain turn into a dramatically two-speed housing market comprising a booming London market (and its surrounds) and the rest, where prices have essentially been soft now since 2007. London is a global city and The City has continued to thrive as a financial centre, but as a developed country Britain's manufacturing and other industries have floundered. Property investors who chased yields investing in far-flung areas and the north of England got badly burned, and many never recovered, while London prices are at record highs and have risen relentlessly through UK downturns and recessions as we charted here and have reproduced below. In particular, note the difference between the massive out-performance of prime-location London stock, the lower-demographic London boroughs and the stagnation of markets across the remainder of England and Wales. 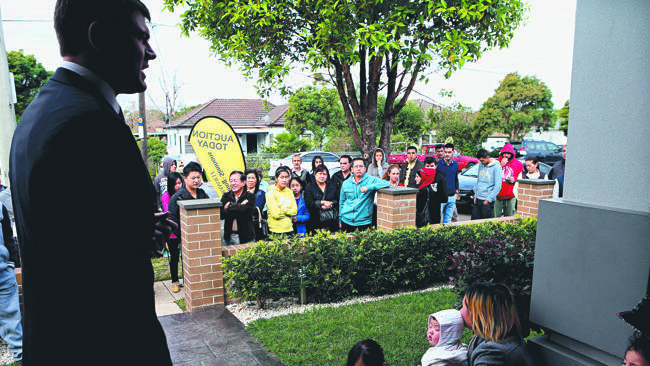 I've suggested for years that Australia could follow a similar path, with the major capital cities attracting a level of interest from domestic and international investors in their supply-constrained inner suburbs, but other locations struggling badly as households become disinclined to take on ever-increasing household debt levels. Specifically, I've felt inclined to invest in Sydney's inner ring suburbs, but rarely to venture outside that zone. Low interest rates have seen prices in Sydney growing fast: up by around 18% since their last trough. The worst performing capital city continues to be Adelaide, where I've been this week for fire and brimstone of Ashes cricket...or in England's case, a rather dis-spirited imitation thereof. It's no real surprise to me that Adelaide has been a lacklustre market in recent years. There is so much more land potentially available to be developed close to the South Australian capital, population growth is relatively moderate, investor interest is lower than elsewhere and overall there is less upwards pressure on prices. New stock is being built, which can drag median prices higher, but existing dwellings have seen little in the way of capital growth for more than five years. I noted a similar dynamic in Port Augusta on my South Australian travels this week: it was quite clear that there are acres of land for sale and zoned for residential development, although it may be doubtful as to how quickly it will be sold due to the lively whiff at that end of town. RP Data's dwelling price index is currently a sea of green text, with prices rising almost everywhere thanks to Australia's presently low interest rates. However, don't expect increasing household debt to carry prices forward in future. As the below chart clearly shows, household debt levels are no longer rising as a percentage of disposable income as they once did, with the percentage peaking out more than half a decade ago. This chart should be of great concern to investors in certain areas. Times are tough, for example, in parts of South Australia following on from the shelving of BHP Billiton's planned $30 billion Olympic Dam expansion. I drove down that way this week from Alice Springs and according to the local rag I read in Roxby Downs a decision might be expected on future expansion plans in approximately two years' time with BHP considereing new and cheaper designs for the expanded operations. However, you'd presumably want to see copper prices stronger than the lacklustre ~US$3.20/lb we've seen this week in order to see the proposed project expansion attract a definitive green tick. While an expansion of Olympic Dam a few years down the track could certainly be a net plus for the state, any direct link with real estate prices in Adelaide which is located more than 500 kilometres of barren land away may be somewhat tenuous. 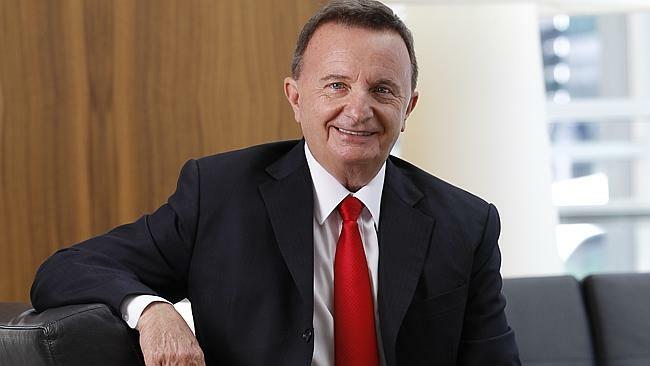 Meanwhile, businesses such as Holden are in a world of bother with closure threats and pleas being lodged for government support of the car industry. With Australia's dollar having been so strong for so long, manufacturing industries have been hurting, and some exporting companies have also gone to the wall. "A second part of the debate are the implications at a regional level – what impact is there on the economies of regions that depend heavily on the automotive sector, specifically Melbourne and Adelaide? "Our study on the contribution that the GMH manufacturing facility in Elizabeth makes to the South Australian (and northern Adelaide region) economy was recently presented to the Productivity Commission inquiry. There are currently 1,750 jobs at GMH and the operations purchase A$530 million of supplies per year from core suppliers based in Adelaide. Through direct and first round (GMH and its direct suppliers) activities the operational spend of GMH in 2013 is estimated at A$750 million, contributing A$400 million to South Australia’s Gross State Product (GSP) and supporting 4,340 jobs. "Then there are the full flow-through effects of this activity (such as the purchases of suppliers, and spend of wages and salary income). When modelled, the total economic activity linked to GMHs operations was estimated in 2013 to be a A$0.9 billion contribution to GSP, and 9,500 jobs and a contribution of $53 million per year to the state taxation base. (The model used a simple input output framework, which evidence supports as sufficient for order of magnitude long run modelling of impacts at the regional level). But if GMH were to cease activity, the impact would ultimately depend on how the local economy responds." INVESTORS with big property portfolios will be celebrating if a new campaign to reduce land tax comes to fruition. 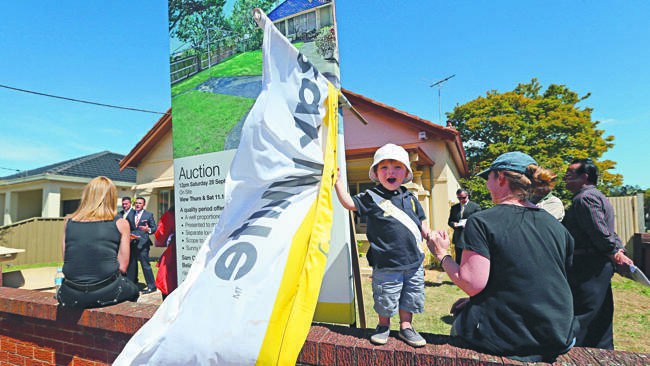 The Make Land Tax Fair campaign was launched by the Property Council of Australia's WA branch last week. 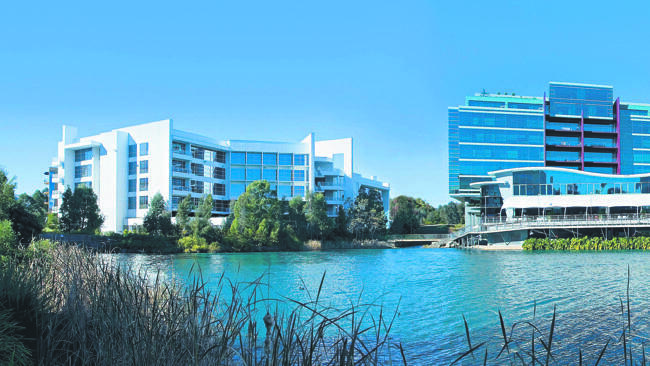 The campaign comes on the heals of an announcement that the State Government would look to secure WA's land tax revenue with new legislation in 2014, following a State Administrative Tribunal decision about land tax for a retirement village. 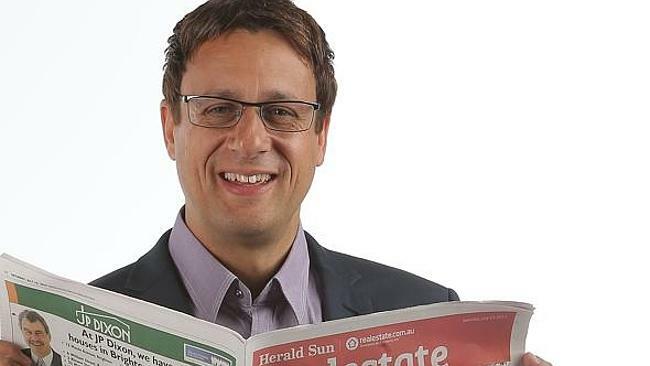 Property Council WA executive director Joe Lenzo said the current tax system was unfair as some property owners were hit with land tax while others didn't pay. "The issue here is that the tax is lopsided and punishes some small businesses, but exempts others, and this depends on whether you rent or lease a premise or own the property direct," he said. "It must be fixed and made fair." Mr Lenzo said land tax was paid by investors and big business owners - those with properties that were not used as their primary residence. Those with multiple properties were taxed exponentially more for each successive property. 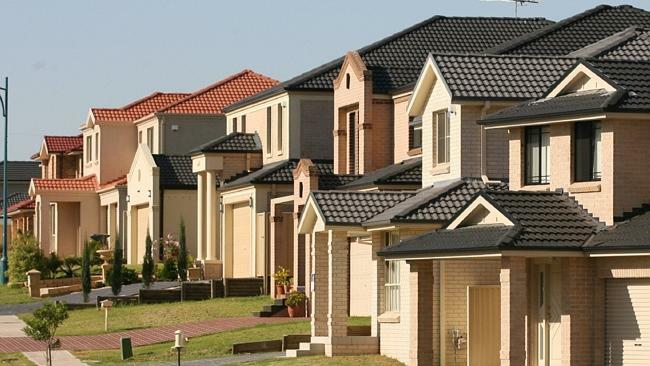 Following this year's federal budget cuts, WA saw a 12.4 per cent land tax rise. According to the Property Council, 6 per cent of land tax payers were paying 80 per cent of WA's $700 million annual land tax bill. "The principal payers of land tax currently are property owners and investors who have large property holdings, such as shopping centres, office buildings, car yards and industrial warehouses," he said. "The key here is that these owners will pass their land tax costs on to the small businesses and tenants that rent or occupy these premises." About 116,000 land owners will be subject to land tax in 2013-14. WHAT those features are depends in part on the home's price, size and geographic locale as well as who the buyer is; owner-occupier, investor, or developer. Land size: Owner-occupiers generally look for a relatively large block of land, especially if they are considering having a family. However, tenants hate it. A large block of land means more time that they have to spend maintaining the property. They don't want to spend their weekends mowing the landlords' lawn and watering her flowers. Investors generally don't want properties on large blocks due to the maintenance and upkeep issues. However, developers are very interested in the size and dimension of the block. Size of house: Many tenants prefer larger homes and they are willing to pay more rent for it, where they won't pay more rent for a larger block of land. Owner occupiers try and buy as large a home as their finances will permit. Investors aren't interested in large homes with five and six bedrooms as these can be very hard to rent. For developers, they'd prefer that there wasn't a home on the site as they just want the land. Period/character style: Owner-occupiers can fall in love with old style houses and pay a premium for them, especially if they are updated. It may seem remarkable that some people will pay more for a 140 year old house than a 40 year old house. Many tenants don't like old houses; they prefer brand new properties. Generally the condition of these properties is great and they have all the modern conveniences that people are looking for such as air conditioning, dish washer and two bathrooms. Commonly investors will also shy away from old properties due to the maintenance issues such as salt damp and cracking. Developers often aren't interested in period style homes for two main reasons. Firstly, they are regularly outbid by the owner-occupier who has fallen in love with the stone front, solid timber floors, fireplaces, high and ornate ceilings. Secondly, there is the risk that these properties might be heritage listed which restricts the development opportunities. 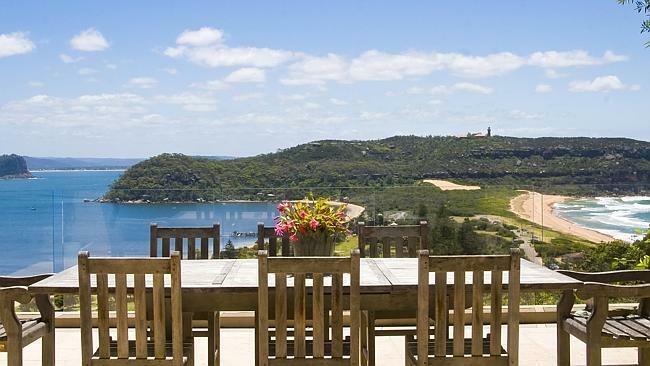 Views: Owner-occupiers love views, especially sea views. Tenants like them but won't necessarily pay extra rent for a view. 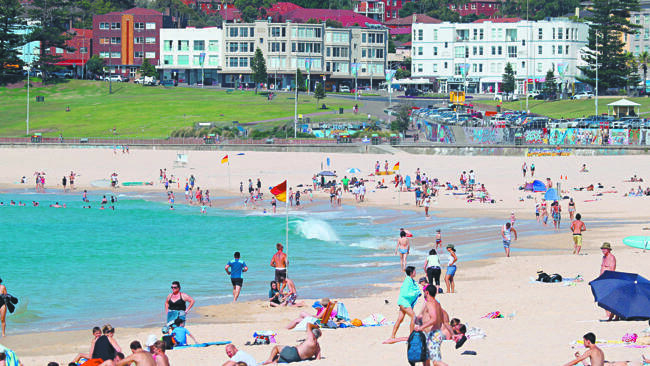 Short-term/holiday renters are willing pay a huge premium for sea views. 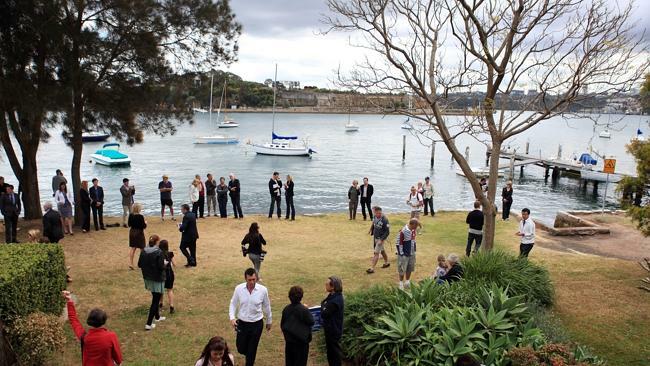 Some developers will also pay a premium for views, especially if they are views of water or the CBD. Investors aren't fussed by properties which have views as they realise they will have to pay more for a property with a view but tenants won't necessarily pay any extra rent. Well, they're at it again, but at least this time it's something that is positive for property investors. The Coalition government's decision this month to axe Labour's plan to slap a tax on superannuation pension earnings above $100,000 appears on the surface to benefit rich retirees, but in reality is a nice boost for the growing army of self-managed super fund members who are buying real estate in their funds. That's because property is a large asset that can't be sold in pieces like shares can. So under Labor's system, someone who bought a $500,000 investment property in their SMSF and sold it for, say, $2 million 20 or 30 years from now would have been hit with a tax bill of around $200,000. Axing Labor's plan, as the Coalition has done, means super pensions keep their tax-free status, so the property-investing SMSF member pays zilch. The latest changes are good news for them, but are unlikely to be the last lot of changes we see to super, so it's worthwhile not putting all your eggs in one basket, especially if they are shiny, golden nest eggs. 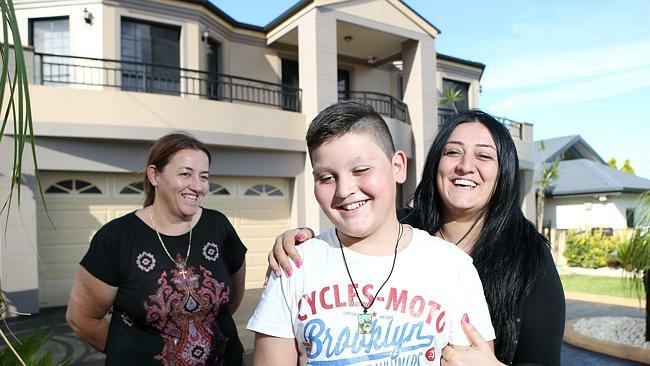 People thinking about buying property within an SMSF have also been warned recently about the dangers posed by property spruikers, rip-off merchants and so-called advisers willing to "help" them out. That's probably just as big a threat than any government tax changes, as a bad property deal can cost a fortune. The government will always change the rules. You will always change your clothes. Just be careful you don't lose your shirt. 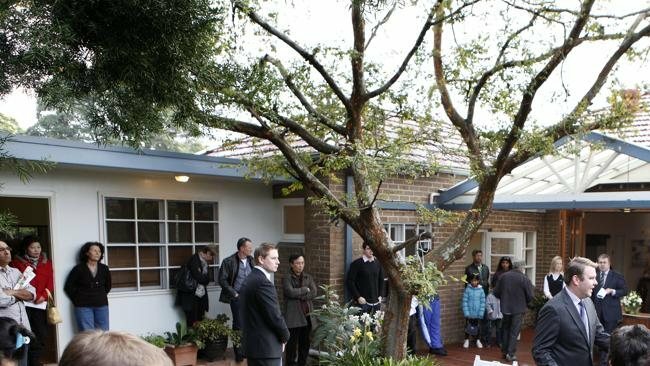 Capital city house prices rose 1.9 per cent in the September quarter. 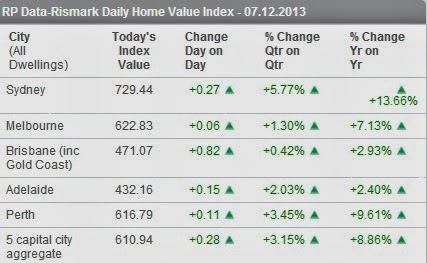 AUSTRALIAN capital city house prices rose 1.9 per cent in the September quarter, official data showed. That followed a rise of 2.7 per cent in the June quarter. 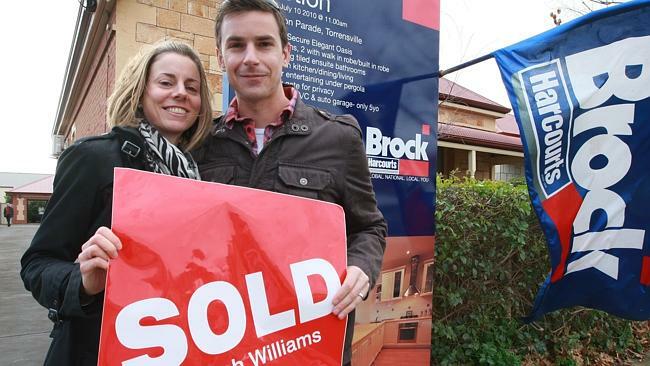 In the year to September, the house price index rose 7.6 per cent, the Australian Bureau of Statistics said on Monday. 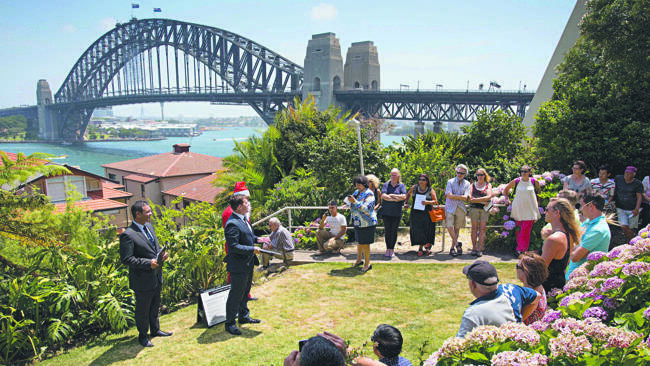 The gains are being riven by Australia's two largest housing markets, Sydney and Melbourne and may raise concerns that record low interest rates are fuelling overheating in the country's property market. However, economists had expected a slightly higher rise of 2.2 per cent for the quarter.